Wonderful news! 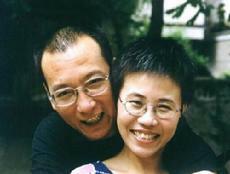 Liu Xiaobo, our PEN International colleague, has just won this year’s Nobel Peace Prize. When I nominated him, along with a number of others including Vaclav Havel, in January, I thought we might have to keep nominating him for a number of years. This is a great day for China, even though many in the regime won’t see it that way. For more on this see the PEN American Center website.